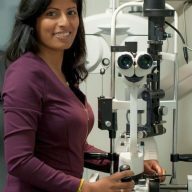 Simply contact Dr. Thadshika Parthipan to have your child’s Eye See…Eye Learn® exam by June 30, 2016. Bring your child’s health card with you on the day of the exam. It’s that easy! 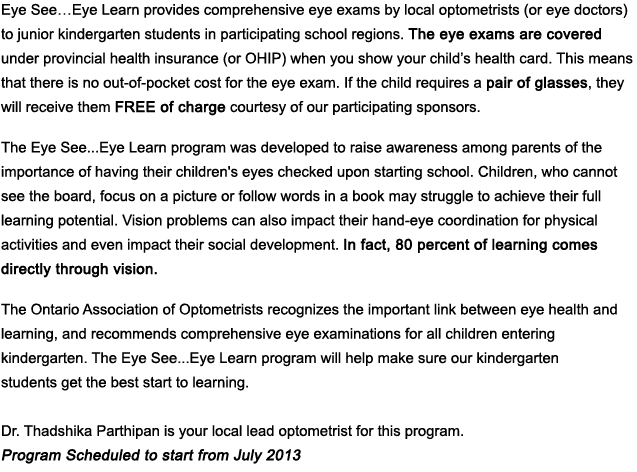 Participating children who require a pair of glasses will receive one pair free of charge courtesy of our participating corporate partners Nikon Lenswear and OGI Eyewear. The frames are fashionable and are made with high quality and impact resistant polycarbonate lenses. 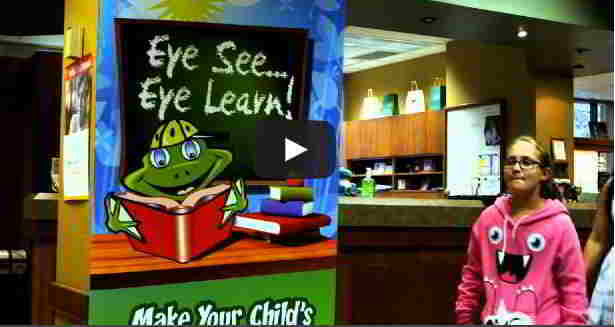 This program is made possible with funding assistance from the Government of Ontario.